Provides instructions and patterns to create a variety of crocheted hats, scarves, cowls, bags, throws, and accessories. 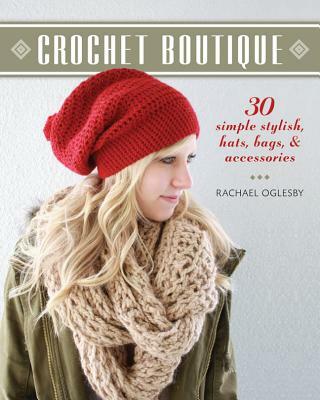 *Author: Oglesby, Rachael *Subtitle: 30 Simple, Stylish Hats, Bags & Accessories *Publication Date: 2012/09/04 *Number of Pages: 128 *Binding Type: Paperback *Language: English *Depth: 0. UnbeatableSale.com offers the most incredible deals on the latest furniture, electronics, gifts, health, and baby items. Order Crochet Boutique By Oglesby, Rachael with confidence thanks to our hassle-free return policy. This item is currently available for the everyday price of $17.59, a discount of 5% off the list price. If you would like to track the status of your order, you may do so on our Order Status page using our ZIP code and order reference number. Don't forget to check out today's Unbeatable Deal for a great product at an unbelieveable price.